i would adore nothing more than coming home and seeing this sitting in my driveway, if i had a driveway. i have found my one crazy wish for 2008. the one thing that i would have never in a million years thought i would want, yet somehow i find myself wanting it. 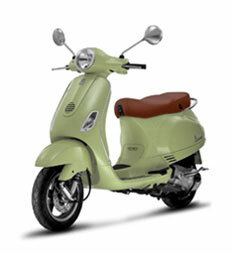 so if someone has a few extra thousand dollars sitting around wandering what they could do with it, you could so graciously buy me this green Vespa LX! i would love you forever, and could possibly work out a trade if you’re looking for a black lab….. Previous Post the sweetest goodbye – the aftermath. Next Post Here fishy fishy fishy….